In a widely reported announcement, the founders of Bitcoin Egypt said in August that their project would be launched later in the month, suggesting that the North African country might now be leaning toward a friendly approach to the world's leading cryptocurrency. However, the excitement over what was meant to be the first platform for buying and selling Bitcoin in Egypt soon subsided, with the Central Bank of Egypt (CBE) refuting such speculation and reiterating that it will not regulate digital currency dealings. "This virtual currency is not guaranteed by the banking sector […] and dealing with it is the responsibility of its users," the statement said. A message on the Bitcoin Egypt website later read, "We are facing delays and no longer confirm a launch date." One of the founders, Omar Abdel-Rasoul, declined to speak about where his project stands "until the situation is legally resolved." Soon after, in November, the website went offline. The absence of legitimate avenues, however, has not prevented Bitcoin trading in Egypt in recent years. Indeed, in 2017, interest in digital currencies dramatically increased in the most populous Arab nation, according to one Cairo-based Bitcoin trader and broker who started his cryptocurrency dealings in 2011, two years after it was invented. There is no technical way to estimate the volume of Bitcoin trading in Egypt, or any other country, for that matter, "but for a year now there has definitely been a surge in Egypt," said the 30-year-old Egyptian, who, bearing in mind the unclear official stance on digital currencies, preferred to speak on condition of anonymity. "There was a time when I knew the whole tiny Bitcoin community. Now it's all across the country as it booms worldwide." Bitcoin is not tangible and is decentralised. It is not the official currency of any country and does not represent an amount of gold or silver. It is believed to be the first of hundreds of digital currencies introduced to the internet sphere, as well as being the most valuable and most widespread globally. Anyone can acquire Bitcoin through direct exchange; the buyer pays a Bitcoin owner for a certain amount of the digital currency that is then transferred into the former's "wallet," which serves as a bank account for the cryptocurrency. The exchange could either be for fiat money or "altcoins" – meaning digital currencies other than Bitcoin. Such transactions can take place via digital currency exchanges, which are available in the UK, China and the US, among others. In Egypt, where there are no digital currency exchanges, deals are mostly sealed on a one-on-one basis. A transaction does not necessarily involve a whole coin or more; one has the option of purchasing any fraction of a Bitcoin. With the digital currency's price persistently rocketing in 2017, this option is increasingly attractive to investors. Mostly fuelled by a rapidly growing demand, the price of Bitcoin is determined by major exchanges, including Coinbase in San Francisco and Luxembourg's Bitstamp. On 30 November, it plunged from $11,000 to $9,300, and then bounced to around $10,000 – all within hours. The currency fully recovered from the tumble three days later and kept rising to reach new highs, breaking above $19,000 on Thursday before plummeting again. Despite fluctuations throughout the year, the upward trend in Bitcoin has been undeniable thanks to consecutive astronomical increases since April. Its price early on Saturday, ranging between $15,500 and $16,000, is almost quadruple what it was in August. 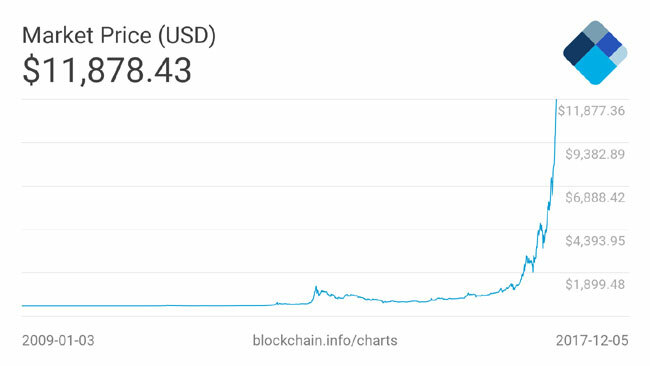 In early 2016 it was just over $430, and as low as $1 in 2011. Bitcoin's worldwide spread has pushed – or even coerced – governments and corporations to allow the digital currency, which has been entrenching itself in different markets. The first Bitcoin ATM, through which users can buy and sell the cryptocurrency, was launched in Canada's Vancouver in 2013, before other countries followed suit. Today, units in the Dubai-based Aston Plaza and Residences, two residential towers and a shopping mall, can be purchased with Bitcoin as the Knox Group of Companies announced last September, making it the first major real-estate development that accepts Bitcoin as payment. 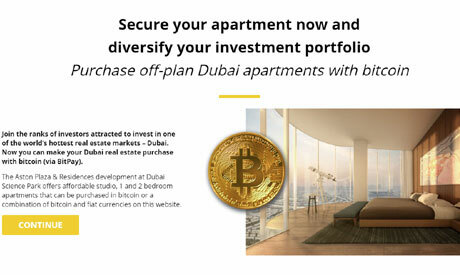 A screenshot from the website of the Dubai-based Aston Plaza and Residences, the first major real-estate development that accepts bitcoin as payment. Egypt has not followed in the footsteps of countries that, even amid a lack of regulations, are considered to be digital-currency friendly – including Japan and Sweden. Neither has it followed Bolivia and Bangladesh, among others, in banning cryptocurrency trading. In other words, Bitcoin trading is not legalised in Egypt, yet it is not illegal per se. 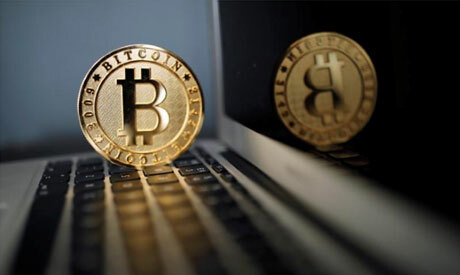 That said, Egyptian authorities may frown on Bitcoin trading that involves foreign currencies, since such activities may be deemed tantamount to black-market transactions. The state has fiercely combated the black market in recent years, aiming to increase foreign currency inflow and unify exchange rates – a goal that was largely achieved after the 2016 flotation of the Egyptian pound. The legal punishment for black-market currency exchange has been intensified in Egypt since 2016, with the maximum jail term extended from no more than three months to at least three years. Nevertheless, Egyptian law does not explicitly include transactions that involve digital currencies. In one case, Ahram Online has learned, an Egyptian Bitcoin trader was arrested for trying to sell an amount of the cryptocurrency for US dollars. However, he was released soon after because, besides the dollars, there was no other fiat currency seized as evidence of an illegal money exchange. "If there is no law, there is no crime, and we don't have laws that might apply to Bitcoin," said Egyptian lawyer Rostom Omar. "Bitcoin is virtual, doesn't have an official exchange rate in Egypt and is not even accredited as a currency by state authorities. Therefore, criminalising any Bitcoin activities would be very difficult." Invented by Satoshi Nakamoto -- a pseudonym used by its unknown founder, or founding group -- no specific purpose of Bitcoin was ever announced. Initially, however, it was primarily used for illegal activities, having often been linked with drug dealing and money laundering amid a lack of governmental tracking, whether of Bitcoin transactions or "mining." Mining is the process that produces Bitcoins and confirms its transactions by adding them to a public ledger known as the blockchain. Anyone with access to the internet and suitable hardware and software can take part in mining. The technological set-up employed for this purpose is known as a "miner." "Each operational miner copies all the Bitcoin data around the world, which adds a layer of protection. Thus, it generates a new sum of the currency as a reward," the Egyptian Bitcoin broker said. "This is why the system cannot be hacked; it's protected by millions of computers everywhere. This is the blockchain technology." 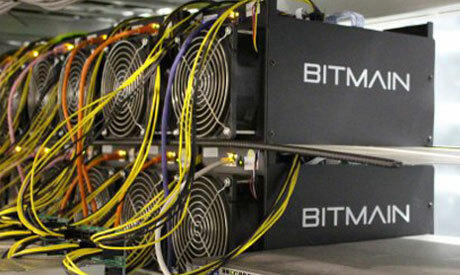 The system allows miners to generate no more than 21 million Bitcoins. Yet it is also designed to ensure the continuity of mining for decades through "halving" – an automated reduction of the mining reward by half every four years, which slows down the Bitcoin generation rate. "Now, globally, we're heading towards 17 million Bitcoins," he said. "Under the assumption that halving will keep occurring every four years, the final block that creates new Bitcoins will occur in 2140. Afterwards, miners will only be rewarded with fees on transactions." Also, there is a "difficulty" that fluctuates correspondingly with the global Bitcoin mining volume. The higher the degree of difficulty becomes, the more complex the math problems that miners must solve, and thus the Bitcoin generation rate slows down. The same goes for mining other altcoins. The amount of energy used by computers mining Bitcoin around the world this year is greater than the individual annual usage of 159 countries, according to research conducted by the UK-based Power Compare. Egypt is one of few African nations whose yearly electricity consumption is higher than that of all Bitcoin miners in total, according to the results. Bitcoin miners, or ASIC mining hardware, may be seized at Egyptian airports. Nonetheless, mining hardware for other digital currencies, including Ethereum, the second most popular blockchain-based digital currency, can be built from scratch with computer equipment available to normal consumers, the most important of which are graphics cards. A trend in Egypt, therefore, is to mine Ethereum then convert it to Bitcoin, which is pretty easy and safe to do online, the trader explained. Mining – whether for Bitcoin, Ethereum or other altcoins – can generate gross revenues six times higher than the Egyptian banks' 18.75 percent deposit interest rate. "It depends on the efficiency of the mining hardware you're using, but on average, miners these days generate an amount of digital currency comprising 8 to 10 percent of the hardware's price," the Bitcoin expert said. "So around $1,000 worth of mining hardware can generate up to $100 a month." However, the mining profitability is anything but stable, since it is also contingent on other key factors, including cryptocurrencies' ever-changing prices, difficulty fluctuations and electricity consumption. "Occasionally, owners of mining hardware could opt for an altcoin that is rising faster than Bitcoin or Ethereum over a limited period of time. It happens sometimes with hundreds and hundreds of cryptocurrencies out there," the trader said. "This would decrease the mining volume of Bitcoin or Ethereum for a while, and thus their difficulty would simultaneously go down." "On the other hand, a magnified mining volume of any digital currency could increase its difficulty to the extent that mining wouldn't even cover the computers' electricity consumption. This could be a reason to switch off miners for a while until the difficulty decreases. However, people would keep mining if the price of the mined cryptocurrency was likely to soar, because this means they would ultimately make profits." In Egypt, the cost of mining electricity usually comprises around 25 percent of the profit. "Mining hardware that consumes 1,300 kw would cost a little less than $100 and likely generate around $350, $380 worth of digital currency per month, for instance," the Bitcoin trader said. "The productivity and electricity consumption of miners vary, but that's the average." The mining cost will comprise a higher percentage when Egypt's electricity subsidies are completely abolished, as is planned in the coming years. "But today, given cryptocurrency price increases, as opposed to the costs in Egypt, it's fair to say that digital mining is a pretty good deal and that's why more and more people get into it," he said. The thriving digital currency trend conflicts starkly with the efforts Egypt has exerted over the past years to merge the grey national economy – estimated at $100 billion according to Egyptian Prime Minister Sherif Ismail – with the regular financial system. In line with the state policy, Egyptian authorities at some point in the future could either regulate Bitcoin to share trading profits, or ban it in an attempt to force those investing in cyptocurrencies to switch their funds into the official economy. It is still unclear if the state will take one of the above options or seek to maintain the status-quo. Abdel-Rasoul of Bitcoin Egypt said he was clueless about when the relevant state institutions, including the CBE, would make some type of decision regarding the digital initiative. Egypt, like many other countries, is still mulling how to regulate or classify the digital gold. In an interview with Bloomberg in mid-September, CBE governor Tarek Amer was asked for his assessment of Bitcoin; the governor did not provide a conclusive answer. "I think everybody is still trying to find their way […] We are working on it with our payments people and technology people, and with the technology agencies in the community," Amer said. "I think, in terms of central banks, we are trying to find a strategy in terms of the direction of dealing with fintech [financial technology] and the risks and so on." Last month, the executive director of the CIB, Ahmed Eissa, reportedly revealed that Egypt's largest bank plans to be blockchain-oriented within the next three years. The move, Eissa highlighted, is in accordance with the state's desire to employ e-payment systems. But such developments do not necessarily mean Bitcoin will actually be regulated in Egypt. Mohamed Abu Basha, an economist at investment bank EFG-Hermes, sees nothing that could entice the state into regulating Bitcoin. Unlike foreign investment, it does not bring in foreign currency, for which Egypt is in constant need to buy basic foodstuffs and fulfil its international obligations. "With no payments being made in the country, its usefulness takes a hit," he opined. Bankers and financial analysts differ on how the future of Bitcoin will unfold. Some are convinced it is a bubble that will eventually burst, while others think it will prevail in the long term. The Egyptian Bitcoin broker, as a cryptocurrency enthusiast, believes regulating digital currencies could turn a lot of money for the country. "The Bitcoin wave is huge and unstoppable. Egypt had better make use of the local money invested in it and share the increasing profits," he said. If Egypt takes the step of banning the cryptocurrency, he expects a lot of people will seek to sell off their coins. "But there will still be no tools to prohibit digital currencies altogether. It's just not possible."